Most of us look for a home away from home, even when we step out for a vacation. And often, we wish to find something that’s beautifully done so the burning desires of our heart to have our own homes plush and gorgeous can be put to rest for a while. 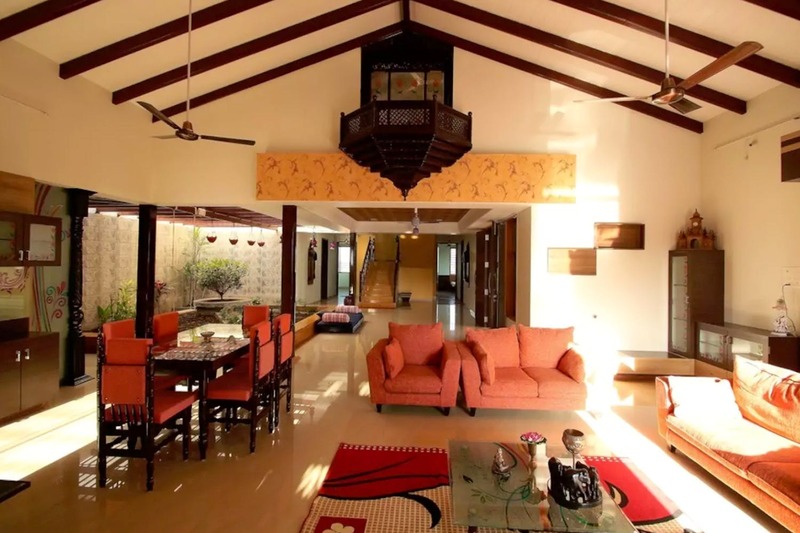 If you’re on the same page, or if you generally like staying at aesthetically done-up houses, then Nashik’s Salsa Villa is a perfect choice. The villa’s location will blow your mind. Open just about any window and the view that awaits you will definitely play with your senses. The villa, a duplex design, has four big well-furnished bedrooms. Everything about this villa is grand, but not in the boisterous way. An independent narrow road leads to the house which adds to the privacy and the quietness of the place. The ground floor has beautifully done interiors with high ceilings and comfortable couches. In the passageway of the ground floor is a neat landscape which is beautiful and well-maintained. The house also has a library (two odd racks of books), and a small seating just under the window so you and your books can find some peace. Their staff is available on property throughout, so you don’t have to worry about anything. The villa also has free parking, wi-fi and an equipped kitchen so you can cook your own meals. A maximum of eight guests are allowed in the villa. And for all of this, the charges are INR 14,100 for the entire villa per night. That’s pretty sorted, don’t you think? Enjoy the scenery, sip some wine, and detox from all the city stuff at Salsa Villa in Nashik.